Departement of Vaucluse - Pop. 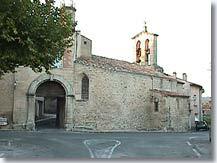 : 300 h.
Modène is situated at the foot of the Mont Ventoux, 14 km north-east of Carpentras via the D938 then the D55. Modene is a small market town concentrated around its ramparts. From the secondary road that skirts the village, you will be able to catch a glimpse of an immense gate built against the village church. This gate is the entrance to the old centre of Modene. Inside, there are only a few houses. Modene is not really a tourist site and there hardly any shops there. So you will be able to simply take advantage of the peace and quiet of the countryside. Its ramparts and the arched gateway. 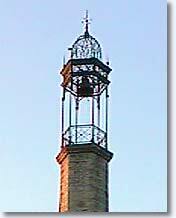 Romanesque church with wrought iron campanile. 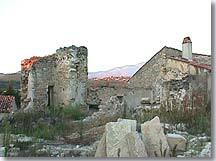 Bédoin (8km), Saint-Pierre de Vassols (1km), Caromb (2km), Crillon le Brave (4km).